Ties and razors…the obvious gifts for Dad…but there are ways to spruce them up or keep the gift giving. We were sent samples from the Dollar Shave Club, a “great shave for a few bucks a month”. Dollar Shave Club couldn’t be simpler. Select one of our great razors, pay one low monthly fee, and we send ’em right to your door. No more over-paying for fancy brand name shave tech. No more forgetting to buy your blades. 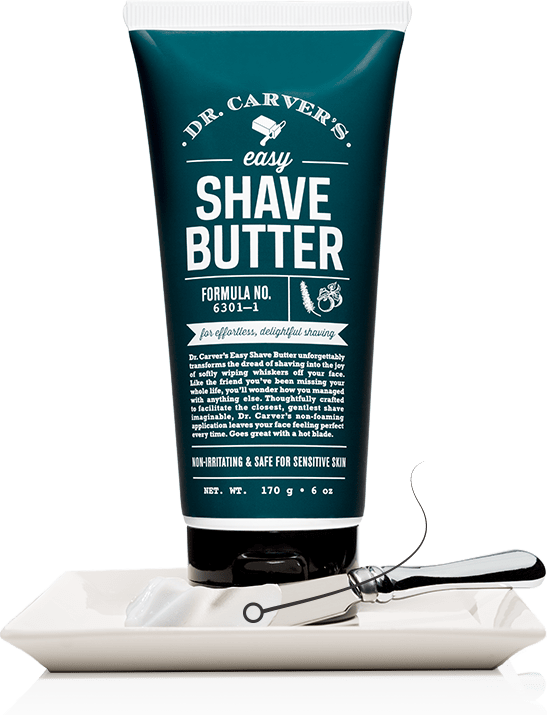 In addition to eight blades and two handles, we were sent Dr. Carver’s Easy Shave Butter. The shave butter is not tested on animals. I think the Dollar Shave Club is a good idea for the men in your life, but an electric razor may be more eco-friendly with less disposability. My man prefers electric. My daughter has expressed interest in shaving her legs. When she is ready (or I am ready), we will try these products. Perhaps they could include a toothbrush in the package as well…many single men I know forget to buy new ones. Improve Indoor Air Quality Now for Free! Is Your Water Bottle Giving You Cancer? New Study Reveals Shocking BPA Dangers. Would you trust your baby in this cage? Can You Assign a Monetary Value to Motherhood? Healthy snacking: Who doesn’t love popcorn?